Central Park Imaging – As one of two facilities in Austin that is able to scan St. Jude and Medtronic MRI-compatible devices, Central Park Imaging has a number of registered technicians available with a variety of specialties. Austin Diagnostic Clinic – This radiology and imaging center provides a range of services, such as ultrasound, women’s imaging, and nuclear medicine. Texas Orthopedics – This center, geared toward orthopedic care, can provide on-site imaging for X-ray, MRI, and bone density. Their specialists can also diagnose patients and recommend treatments for a variety of conditions and injuries. David’s Healthcare – With walk-in and next-day imaging exams available, St. David’s Healthcare is able to help people in the Austin-area through technology like their DEXA bone densitometry scanner and digital X-ray. Southwest Diagnostic Imaging Center – This Dallas/Fort Worth-area imaging facility has 28 local radiologists on staff who can perform a variety of services and procedures such as thyroid FNA analysis and PET/CT. Crown Imaging – This private, family-owned imaging center can send reports to physicians within 24 hours. They also have two 1.5T GE MRIs for any MRI-related needs you may have. DFW MRI – In addition to MRI services, this Dallas-area imaging facility can also provide quick reports related to X-ray, CT, discogram and more. Up & Open Imaging – Since 2003, this center has provided images and MRIs for patients in weight-bearing and non-traditional positions. This allows for a non-claustrophobic environment and increased accommodation. The city of San Antonio is located in south-central Texas and is known for its deep history, with the Alamo being its most historic landmark. Present-day San Antonio is the second-most populated city in the state and is continuing to grow, with imaging centers like those below helping to facilitate residents’ medical needs. Concord Imaging – Patients with a number of imaging requests in San Antonio have utilized the services of Concord Imaging, which include their new 3D mammography technology. Bexar Imaging – Accredited by the American College of Radiology, Bexar Imaging specializes in non-intrusive imaging methods such as bone mineral density and CT scans. Avestée – Avestée is a collection of women’s imaging centers with three different locations in the San Antonio area. Services at these centers include various ultrasounds for issues relating to kidneys, livers and abdomens. Rainbow Medical Imaging – This imaging facility has been servicing the San Antonio area since 1986. One of its services is providing electrocardiograms, which can be performed at both of their locations. On the western side of Texas, you’ll find El Paso, which has not only been named one of the best places to live in the U.S., but is also considered a hub for a number of state-of-the-art medical centers. Desert Imaging – With four locations in El Paso, this medical center is able to offer a variety of options for diagnostic imaging, as well as screening services. Southwest X-Ray – With a priority on improved health care, Southwest X-Ray’s capabilities include imaging in the form of mammography, ultrasounds, X-rays and more. Foundation Surgical Hospital – At this hospital’s imaging center, patients will be in good hands with its non-invasive imaging methods that include MRIs, bone density scans, CT and ultrasounds. Montwood Medical Center – With locations all around El Paso, the Montwood Medical Center’s radiology branch is able to provide a number of imaging options for patients in the area to utilize. As the most populated city in Texas and the fourth most populated city in the United States, Houston can provide a lot of worthwhile options for medical care. In addition to being home to the medical centers listed below, it’s also where the Texas Medical Center is located, which is one of the largest healthcare facilities in the world. Houston Medical Imaging – This facility has radiologists on staff with a variety of subspecialties, such as sports medicine and neuroradiology. Memorial Hermann – As Houston’s largest provider of diagnostic imaging, the medical staff within this facility can provide assistance in fluoroscopy, X-rays, ultrasounds and other forms of imaging. 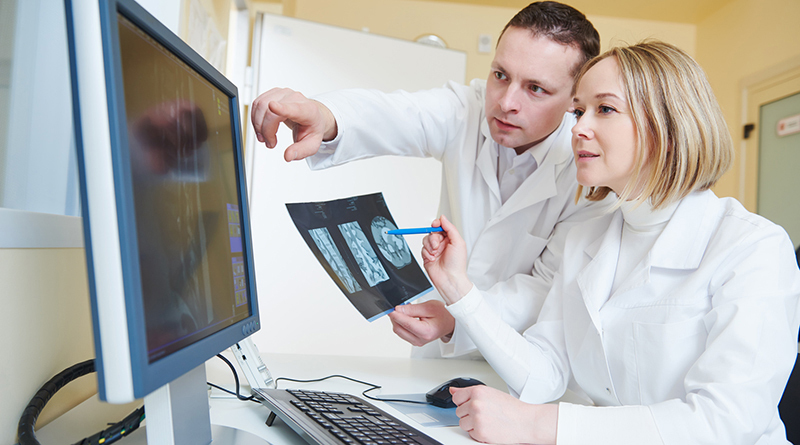 Green Imaging – With a virtual network of board-certified and fellowship-trained radiologists, Green Imaging is able to provide detailed images and reports with a quick turnaround time. Wilson Imaging Centers – This imaging facility specializes in providing images to dentists, orthodontists, periodontists and other dental imaging professionals. If you’re a professional within an imaging center and you’d like to outsource your imaging and readings, please contact our team today. We’d be happy to provide your imaging center more information about our staff and subspecialties, and we look forward to hearing from you soon!